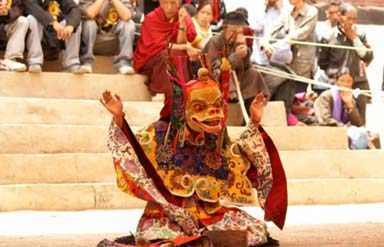 Held with tremendous enthusiasm and fervour, the Yuru Kabgyat festival is celebrated at Lamayuru monastery. 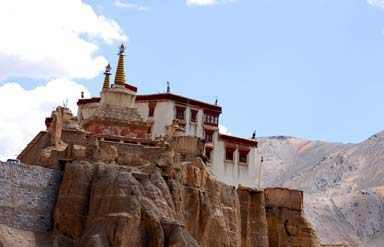 Thousands of people especially visit Ladakh to mark their presence in this spectacular event. The Buddhists from various countries like Tibet, China, Korea and Japan throng to the place to attend the festival. Colourfully attired Buddhist Monks participate in the dance drama, which is the main attraction of the event. The Yuru Kabgyat festival is a two day long event, which is usually held in July-August at Lamayuru, lying 127 km from Leh. This year, it will be held on 21-22 June 2017. 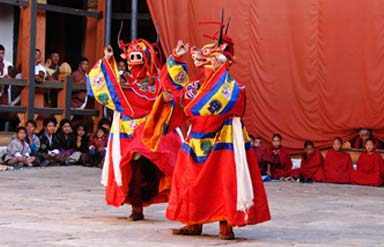 Mask dances are an important part of Buddhist festivals. As part of the sacred scripts, the Buddhist masked dance dates back to the 8th century when the Chham Dance was initiated. The Yuru Kabgyat dance includes Chhams in which the Lamas make circles and perform dance in circles. This circular movement is complemented with drum beats, cymbals and long pipes. Usually made form paper mache, the masks are enveloped with a thin coat of plaster. This dance drama is ended with the sacrificial offerings. 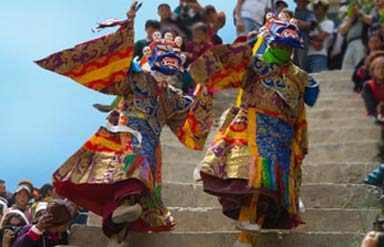 The monks at Spiti, Ladakh, Lahul and Kinnaur participate in the masked dance drama and make the celebration grand. The main aim behind this dance is to please the deity. The dance is performed to drive off the evil spirits. It is believed that by performing the dance, people from the natural calamities, epidemics are protected. Be a part of the dance dram at the local festival of Yuru Kabgyat at Ladakh!